Margaret Strom, a New York–trained actress, graduated from the American Academy of Dramatic Arts and holds both BA and MA degrees in theater, as well as an MS degree in educational administration and supervision. 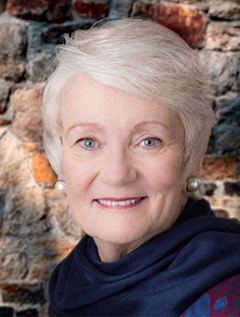 She has narrated more than 500 books for the Library of Congress, and is the voice of business, private, nonprofit, medical, and government industrials and commercials. A lover of many genres of literature, she confesses that she holds children's and youth literature in a place of its own.